One Club Of Justicides: Federal Court Punishes Fraud. What about Michigan Courts? They FOSTER Fraud. Federal Court Punishes Fraud. What about Michigan Courts? They FOSTER Fraud. Two weeks ago, a federal judge sentenced 34-year-old Martin Shkreli to seven years in prison for defrauding investors. The fallout of this young and enterprising guy has gotten wide coverage by the media. Ironically, on the same day of Shkreli's sentencing to imprisonment, the Michigan Supreme Court showed its latest sign of reluctance to remedy unlawful conduct. It doesn't matter how clearly the illegal activity is proved in Michigan, state court is just uncomfortable about having to do its job. Via a dull, short statement denying my Applications for Leave to Appeal in MSC# 156447 and 156495, Michigan courts reinforce their commitment to side with the criminals and the wrongdoers. The news of the sentence of Shkreli's imprisonment inevitably reminded many of us of a congressional hearing in February of 2016, where Shkreli defiantly and with a deliberately funny-faced attitude refused to answer all but one of the questions made by congressmen. The insignificant and only exception to Shkreli's evasion occurs at minute 8:26: With Shkreli looking and smirking elsewhere, congressman Cummings asks "Are you listening? ", a bored Shkreli sighs and -only upon his attorney's advice to "say yes"- Shkreli pleases the world by uttering the word "yes". That congressional hearing was quite brief, as it was pointless to continue conducting the hearing in light of Shkreli's use and abuse of the Fifth Amendment. Congressional hearings are different than court hearings in several aspects. For instance, testimony in Congress does not necessarily retains its full evidentiary weight in judicial proceedings. Also, whereas a crook's attorney (himself another crook) often resorts to his babbling so as to obfuscate judicial proceedings, it is notorious how at minute 5:00 of the congressional hearing Shkreli's attorney was prevented from derailing it. But most important: To federal court's credit, this time justice somehow is catching up with Shkreli. Shkreli's mockery during his congressional hearing further reminded me of the deposition of Al Pacha, the rotten intermediary whom I brought to court for his fraudulent representations about me. 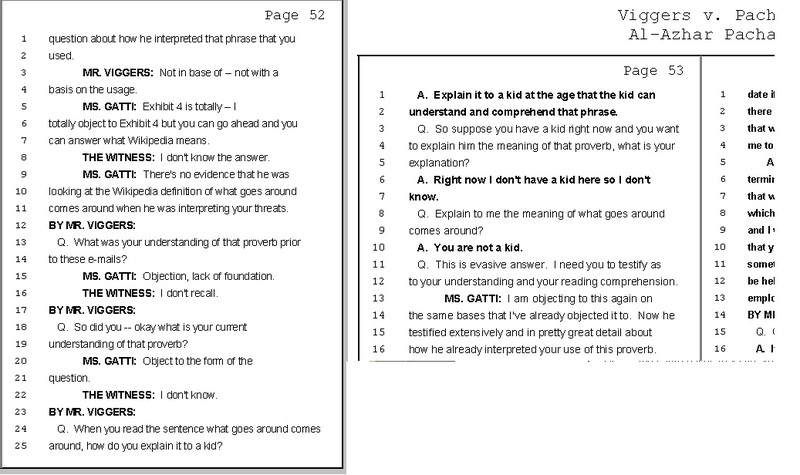 Resembling Shkreli's avoidance of all questions by sticking to the Fifth Amendment, Al Pacha was remarkably evasive when testifying about what he likes to call his "interpretation" of the proverb what goes around comes around. Al Pacha clings to that proverb in his attempt to justify his fraudulent narrative(s) to the University of Michigan. - [I] Explain it to a kid at the age that the kid can understand and comprehend that phrase. - Right now I don't have a kid here so I don't know. - You are not a kid. Busted Al Pacha and busted Martin Shkreli might think that testifying under oath just makes insolence funnier. 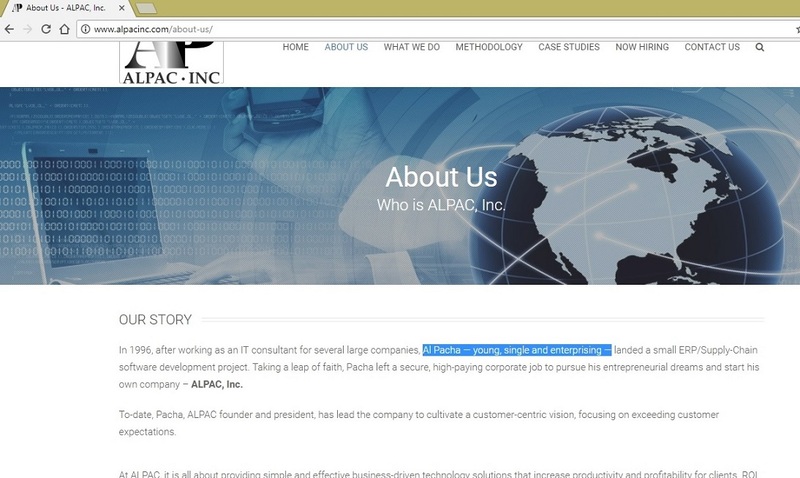 Of course, posing as young, enterprising, or -in the case of Al Pacha- single are harmless. The problem happens when these phony "entrepeneurs" indulge in fraudulent representations in a desperate attempt to keep their business floating. Whether it is a deceitful overpricing of a stock or the act of defaming an employee who retains prospective employment elsewhere, courts ought to remedy all acts of fraud and blatancy from individuals like Martin Shkreli or Al Pacha. Federal court took care of Mr. Shkreli, whereas Mr. Pacha remains off the hook because Michigan judges are too corrupt to follow the law. As reflected in the hearing transcript of August 17, 2016, and in Segment 6 of Corrupted from Ed to Judge, crook Carol Kuhnke's lecture as judge is that Michigan "loves employers [...] and anybody who's powerful" and that the rest of us "have to stay out of the way". That degradation in the Michigan judiciary is so appalling that Martin Shkreli would have wished that his case were presided by corrupt Carol Kuhnke and the rubber-stamping courts above her. Mr. Shkreli has been even ordered to give up an album auctioned at $2m , which is presumably aimed at restoring funds to the defrauded investors. By contrast, Michigan judges lack the integrity to ensure that a defamed plaintiff's reputation gets duly restored. The courts' decadence is illustrated by their absolute leniency toward Al Pacha's disproved narrative(s) and his subsequent blatancy at his deposition. Dignity and reputation are unknown concepts to many of Michigan judges.